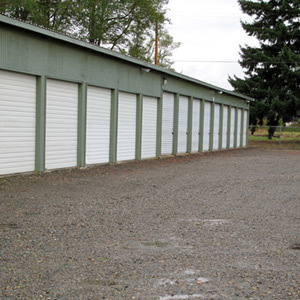 Grand Mound Mini-Storage provides the most trusted storage facility in Thurston County. We offer convenient, safe and clean self storage solutions to meet all of your storage needs. We pride ourselves on our customer service and over 20 years experience in self-storage management. Grand Mound Mini-Storage is your local, trusted source for all of your residential, personal and business storage needs. For over 20 years, we have provided superior customer service and safe, clean, convenient storage in Grand Mound, WA. We offer a variety of storage options and sizes to meet your specific needs at a low, flat rate. It is our customer service, trusted and reliable management, and quality storage facilities that have made us the number one choice for self storage in Grand Mound, WA. We offer the highest levels of customer service that only comes from over 20 years in the business. We provide a variety of indoor and outdoor storage units in a wide range of sizes to meet your specific storage needs. Our low rates are reasonable and affordable, and we offer flat-rate outdoor storage. We offer the most protected and secure storage in Grand Mound, WA. We have an on-site manager to ensure your possessions are protected and provide the level of service we are famous for.